Has NAFTA’s time finally come? Peter Mckenna: Set to one side all the bluster, threats of tariff retaliation and incessant political noise. It is now time for the real NAFTA renegotiations to begin. Under U.S. Trade Promotion Authority (TPA), the Congress is granted some 90 days to approve or reject any new NAFTA pact. In other words, members of Congress would need to have a NAFTA agreement in hand by the end of August in order to ratify it before the “new” Congress returns in January 2019. This three-month timeline or window is also significant from the Mexican standpoint. On December 1st, the new Mexican government of left-leaning Andres Manuel Lopez Obrador (AMLO) will be officially sworn in. If both the U.S. and Mexico want a trade deal before these two trigger points, it needs to be pulled together in the next few weeks. Most significantly, it now looks to me like the Trump White House desperately wants a “win” on the turbulent trade front. The administration is obviously getting some serious pushback about the damaging “tariff wars” from his political base (especially farmers), corporate America and nervous Republican congressional candidates. The major stumbling block, of course, has always been automobiles (content rules) and auto parts. President Trump wants a victory: that is, that auto jobs and investment under any revised NAFTA will be staying in the U.S. He hopes to accomplish this by raising the North American content of vehicles entering the U.S. (duty free) to a higher figure than it currently is (perhaps to 75 per cent from 63 per cent). In addition, he wants wages in Mexico’s auto sector to rise—from $4 to something like $15 an hour—as a way of discouraging jobs and capital from flooding into Mexico. The Mexicans seem willing to deal on higher wages (or at least incoming Mexican president AMLO sees political value in doing so) around automobiles. But they are probably demanding a longer phase-in period for the wage hikes so as to stave off the anticipated closure of several car factories. At the same time, Trump recognizes that Mexico’s substantial trade surplus with the U.S. (some $65 billion annually) needs to be reduced significantly. Indeed, he absolutely needs to be able to make this claim to his base for mostly electoral reasons. By increasing U.S. content in cars and pushing wages higher in Mexico, he can then argue that “fair and balanced trade” with Mexico has been achieved. Furthermore, with Republican politicians facing a stiff Democratic Party headwind, and things not looking well in terms of retaining control of the U.S. House of Representatives, the pressure on Trump to cut a deal—any deal—is building. And I’m sure that House Republicans would dearly love to campaign on a “reciprocal” NAFTA deal, along with tax cuts and the broader economy, in the fall midterms. That, in turn, gives Ottawa some leverage and puts it in a much stronger negotiating position. Indeed, there is no need for Canada to fold like a cheap suit at the bargaining table. It should hold firm and stick to its guns about playing defence and not surrendering on Chapter 19, a sunset clause and agricultural supply management. But it could also put Canada, if it plays its cards well, in a place where it could actually go on the offensive. Here official Ottawa could try to squeeze the Americans on permitting expanded Canadian business participation in U.S. infrastructure projects (and thus get around those dreaded “Buy America” provisions), adding new chapters on gender and Indigenous rights or perhaps even securing a major commitment from Trump to conclude a bilateral agreement on softwood lumber. What Canadian trade negotiators need to be careful about is not jeopardizing the overall deal, which Canada certainly covets, by making demands that the U.S. side cannot agree to. This will obviously require great skill and deft negotiating judgment. Still, Prime Minister Trudeau is in a strong position politically vis-à-vis the Trump administration. 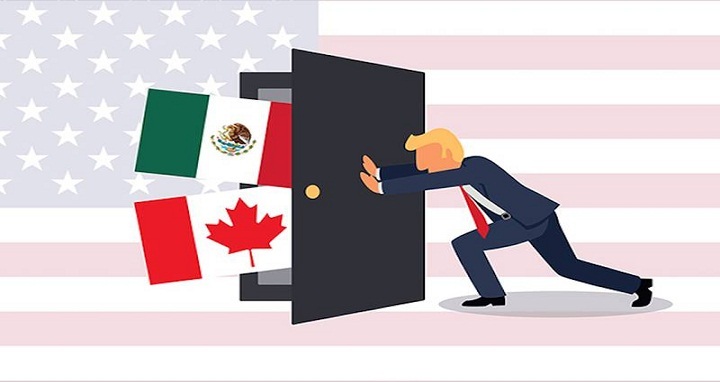 The Canadian public is not in any mood for their government to bow to U.S. pressure or to “sell the store” just to get any NAFTA deal. At the same time, Trudeau knows that a challenging federal election is just around the corner. And having no NAFTA deal or even a poor NAFTA agreement for Canada would be a tough sell on the campaign hustings. With an upgraded and modernized NAFTA, though, the prime minister could repair the pivotal Canada-U.S. relationship. More important, he could use it to his advantage against his political opponents in the fall of 2019.